Dr. Benedict's Big Birthday Surprise! 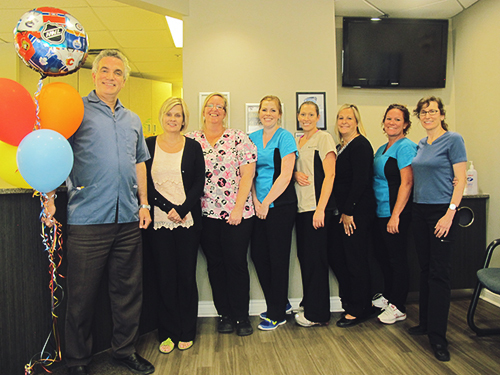 On August 11th, Dr. Benedict celebrated his birthday with the help of his staff and some of our wonderful patients. It was an afternoon of cake, balloons and a lot of fun. Thank you to everyone who helped us pull off this surprise for Dr. Benedict's 50th, and a big thank you to those who stopped by to wish him well on his special day. Sports Mouth Guard Clinic a Success! On Wednesday, August 13th, we held our 8th Annual Sports Mouthguard Clinic. Thank you to everyone who came out and made this event a huge success! We had so much fun and hope you did as well. A donation will be made to KidSport Northumberland. Click here for one more photo! 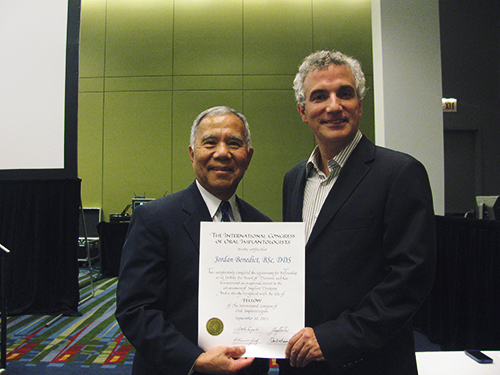 Dr. Benedict earned Fellowship status in The International Congress of Oral Implantologists (ICOI) on September 10th, 2013. The official award ceremony took place at the ICOI Summer Implant Prosthetic Symposium on August 22, 2014 in Chicago. The awarding of Fellowship status is an honour which a professional society such as the ICOI bestows on a dental professional involved in dental implant treatment. To see more photos...click here! 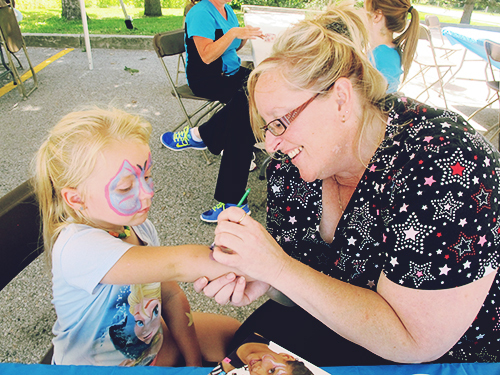 On August 25th, Port Hope Dental sponsored the face painting at Shoppers Drug Mart's annual customer appreciation day. Berni wowed the kids with her painting skills! We're looking forward to next year. An important, but sometimes neglected, part of back to school preparations is a small refresher of the importance of oral hygiene and its effect on overall well-being. When left untreated, dental issues can have a serious impact on your child's ability to focus and perform to the best of their ability. Whether your child is elementary or university aged, we've got a few tips for how they can cultivate an A+ smile! 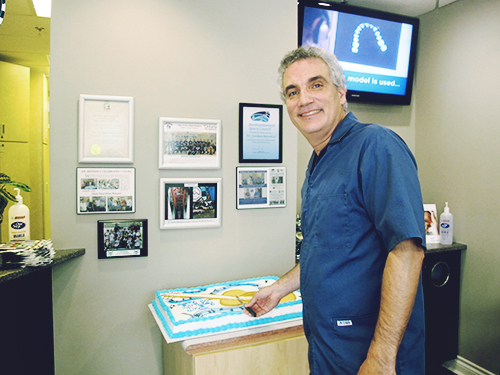 Click here for our "refresher course" in oral hygiene! With the kids back in school, the hunt for tasty, easy to prepare recipes for the lunch box resumes. We've got you covered! This fun recipe makes excellent use of last night's leftover chicken, will delight the kids and save you some time in the kitchen. This will also give your kids the healthy fuel they need to make it through the day.